Get £40 money back as bonus on your first bet when you sign up to Unibet. Get a £100 free bet bonus whan you sign up to Betfair. Get a freebet worth up tp £30 when you make your first deposit at Betway! Bet £10 and get a £30 bonus free bet when you sign up to William Hill. The odds where updated at 2018-08-11 13:25:02. We reserve ourselves for any abnormalities. 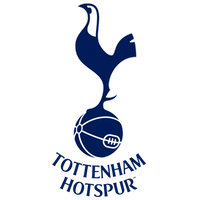 Ahead of the game between Newcastle and Tottenham in Premier League, Tottenham were favourites to win according to the betting companies' odds. 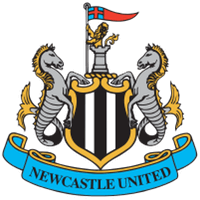 In the end, Tottenham won the match against Newcastle with a score of 2-1. Bonuses from the gaming companies apply to new players who register. The company’s terms and conditions apply. Visit the gaming company’s site to read more about the terms. Betting is an entertaining pleasure, but it’s important that you play responsibly and that you are 18+ of age. If you suspect that you might be addicted to gambling, please make sure to seek help. OddsExpert is an independent website about sports betting online and is not connected to any betting site. We reserve ourselves for any errors on the site. Our goal is that the odds we provide should be as accurate as possible, but sometimes there may be technical errors on the site and we do not take responsibility for incorrect odds. Favourites for the Champions- and Europa League quarter-finals!